The Garment District Alliance will unveil Fancy Animal Carnival on September 20, 2016 with eight large-scale fantastical sculptures created by renowned, highly respected contemporary Taiwanese artist, Hung Yi. The public art installation will captivate New Yorkers and visitors alike with its vibrant, astonishing presence on Broadway in the Garment District. The sculptures – which were brought to New York City by Emmanuel Fremin Gallery (New York) and InSian Gallery (Taiwan) – occupy the Garment District pedestrian plazas on Broadway from 36th to 41st Streets. The installation is free and will be open to the public through April. Each of the eleven animal sculptures represents a narrative, expressed through traditional Taiwanese symbols and motifs believed to bring luck. The painted patterns reflect on folk culture and religion, as well as the artist’s personal experiences and observations of people’s everyday lives. The Fancy Animal Carnival exhibit is sponsored by Orangenius and the Garment District Alliance, and is the latest in the Garment District Art on the Plazas series, which showcases world-class public art installations in the heart of midtown Manhattan. Garment District Art on the Plazas is made possible through Arterventions, part of the New York City Department of Transportation’s (NYC DOT) Art Program. The Garment District Alliance and NYC DOT work closely to coordinate the exhibit and install the pieces, which enhance the public plazas and make them even more welcoming to New Yorkers and visitors alike. We are extremely proud to announce our gallery’s collaboration with the amazing Tiny Tim Rescue Fund. We will be working with them to raise awareness as well as funds in the future; please take a moment to read about this organization as well as to donate. We will be holding a big gala in the Spring of 2016 with Marlborough Gallery, so be on the look out for the updates! The Tiny Tim Rescue Fund is a 501(c)(3) charitable nonprofit organization started by CFDA Award winning designer and animal activist John Bartlett – to honor the memory of his three-legged pit bull rescue named Tiny Tim.The organization is dedicated to raising and distributing funds for animal rescue groups who pull innocent animals directly from high-kill shelters thereby saving the lives of countless dogs and cats. The money raised by the Tiny Tim Rescue Fund goes to providing these animals with the proper medical attention, training, affection, human interaction and foster parents they desperately need so that they will one day find a loving, forever home. 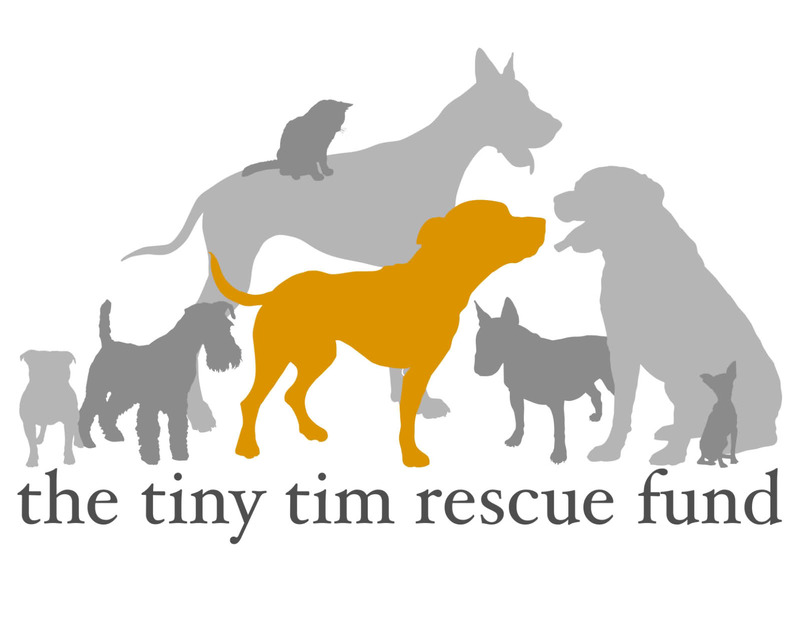 Through our ongoing efforts, generous individual and corporate donations and through the sale of John Bartlett’s Tiny Tim Collection (available on this site), The Tiny Tim Rescue Fund is able to advance it’s mission to help give every dog and cat a chance for a better, happier life – a life all animals are entitled to. Please consider making a DONATION to The Tiny Tim Rescue Fund today.